If you know anything about me at all you know I love all things Thomas Seymour. It’s because of my love for Thomas that I tend to hold Edward Seymour in a bad light – he, after all, was at the helm when Thomas was executed. 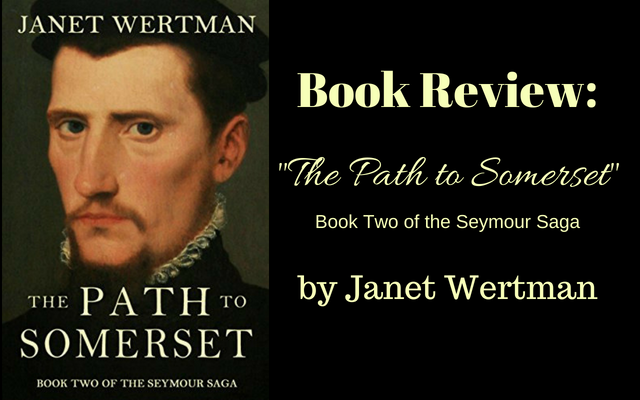 The Path to Somerset is the second book in the Seymour saga by Janet Wertman – her first book was on Jane Seymour, called Jane the Quene. This book covers the career of Edward Seymour starting in March 1539. 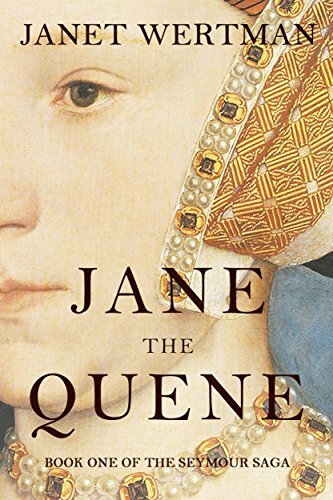 Queen Jane has been dead for a year and a half and the Henry VIII is considering a foreign bride. Edward’s future is uncertain. Although his sister Jane bore Henry the son he’d sought for twenty years, when she died in childbirth, Henry’s good nature died with her. Now the fiercely ambitious Edward must carve a difficult path through Henry’s shifting principles and wives. Challenged at every turn by his nemesis, Bishop Stephen Gardiner, Edward must embrace ruthlessness in order to safeguard not only his own future but England’s as well. As I stated previously I was concerned that I was going to have issues with Wertman’s portrayal of Edward. It was to my surprise that I grew to love his “character” as well as his chosen path in life. Edward Seymour’s first marriage left him a damaged man – he felt betrayed by his wife and his father for having an affair – as anyone would be. Edward apparently made amends with his father but never forgave his first wife, Katherine Fillol. It’s when he met Anne Stanhope that the pieces began to come together for Edward. I might sound like a hypocrite but Wertman even made me like Anne Stanhope – a woman whom I have dubbed as a “wicked woman” many times in the past few years. I always saw Stanhope as more ambitious and vindictive than her husband. It’s in Wertman’s superb storytelling that I looked at the couple in a completely different light – they were a team, and in Tudor England it was important to have strong allies. Were they ambitious? Sure. But they were also the aunt and uncle of the future King of England and it was in their best interest to secure their future. In The Path to Somerset, Anne plays the uber supportive wife who always has the right advice for her husband. Often Edward recalls the advice given by Anne and admits that she was right. So refreshing to read that in a book about this time period. Edward Seymour, was human – he had emotions and opinions like any of us but his “boss” was the tyrannical King Henry VIII. He had a job to do and was loyal to his King. Having an opinion that differed from or displeased the King could cause you to quickly lose favor or worse, your head. He also understood how, as brother to Jane (Henry’s beloved third wife), he could use that card to get the King to see his way. The way this story is told truly makes history come to life. Page after page you get the sense that you are back in Tudor England when things began to really change with Henry VIII – when he lost his temper quickly and had no problem signing a death warrant if the men around him convinced him to do so. He could be smiling one minute and yelling the next. Henry was in constant pain from the ulcers in his legs and the stench that surrounded him somehow became unbearable. Imagine walking into a room with the worst smell every punching you in the face. If the King saw you make a face regarding the small you could lose everything. The Duke of Norfolk and Gardiner are definitely the antagonists in this book. There were times when I wanted to reach inside the book and strangle both men because of their scheming to advance themselves and the Catholics. In the end they both got what was coming to them. Wertman mentions in her “Author Note” after the story that she tried to stay as true as possible to the history and she did a wonderful job doing so – the dialogue could very well have been what these men (and sometimes women) said to one another and it made the story flow. I highly recommend ordering this book! 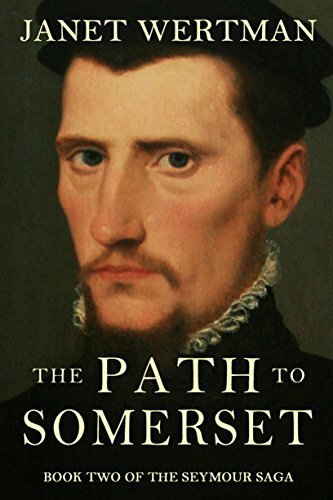 The The Path to Somerset covers a very important part of Tudor history and you will not be disappointed. It will be available in August 2018 and is available for pre-order. To stay up to date on release information please go to: JanetWertman.com and be sure to subscribe!